I come from a community of proud and hardworking people. A people with a large heart and industry. Our success is a badge of honour to my people, our neighbours and our State. Iseyin is the pride of Oyo State and my home. A major occupation of my constituents is farming and like other farmers they have concerns about their security, the sale of their crops and government support for farmers. As one of the youths in my community, i have observed firsthand the many hardships they have had to surmount in ensuring their harvest is a success and I believe I can represent their interests adequately and help promote their welfare as a member of the Oyo State House of Assembly. Also critical to our development are the traders and market women who through their commercial exploits have revolutionized the production and sale of our local cotton fabrics and brought us international and global repute. 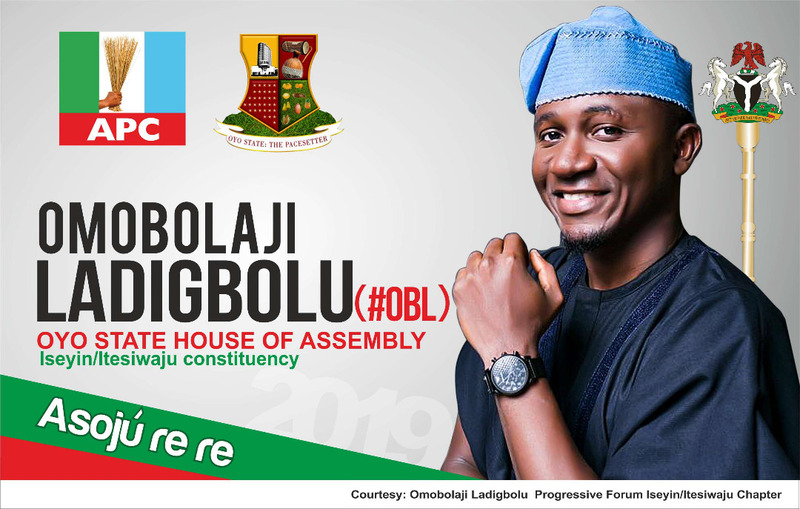 Through active representation in the Oyo State House of Assembly, I can drive strategic government intervention that will benefit the traders in my constituency as well as promote active private participation and strategic partnerships for the growth of the Iseyin/Itesiwaju economic eco system. The youth of Iseyin/ Itesiwaju Constituency are vibrant, brilliant, industrous, innovative, visionaries and exemplary. The collective human potential of my brothers and sisters, uncles and aunties would be specially harnessed and channeled into the creative industry, agriculture, sports and entrepreneurship. 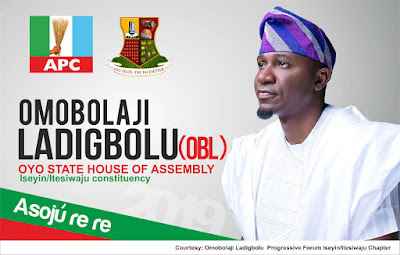 Hence my aspiration to represent the youth of Iseyin/Itesiwaju Constituency at the Oyo State House of Assembly. The elderly of the Iseyin/Itesiwaju Constituency who also embody our collective communal history also deserve adequate representation at the Oyo State House of Assembly. Their protection and care is crucial, payment of their benefits and access to quality health care is paramount as well as their general welfare. Oyo State is a trail blazer in delivering the dividends of democracy to its citizens and a vibrant House of Assembly with professional, progressive and young minds will further deliver laws that will aid the economic and developmental revolution being championed by the APC Government in Oyo State. Nigerian youths have never been more ready and prepared to take our Nation to her rightful place among the comity of Nations and with our drive to deliver good governance, justice, opportunity, security and development to our nation, it is the best time to be Nigerian. I am Barrister Omobolaji Ladigbolu (OBL) and i want to serve the people of Iseyin/Itesiwaju Constituency at the Oyo State House of Assembly.